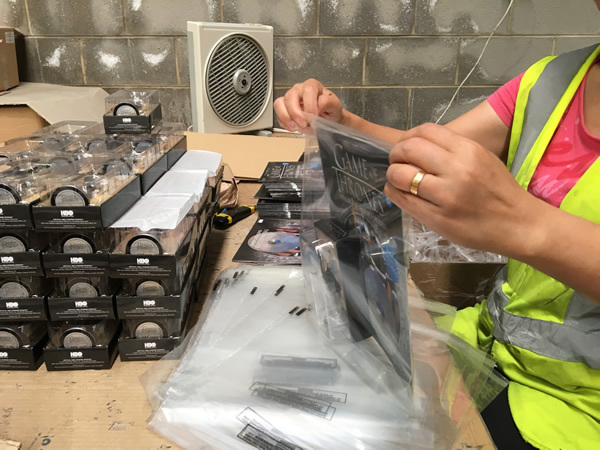 Packaging and assembly often go hand in hand, our expertise and capabilities in contract packaging to service the retail market has made Outsource Packaging a preferred co-supplier. Our ability to meet deadlines, handle challenging and complex projects makes us one of the sort after packers in Melbourne. These services can include hand packing and assembling large quantities of products. The products are often used for special offer packs, public relations campaigns, giveaways and events. Liquid items packaged and assembled can include everything from perfumes to pharmaceutical liquids. We can also provide assistance in supplier details for containers or packaging to suit the product. If you have a product that needs hand assembly, insertions or wrapping, then give us a call.